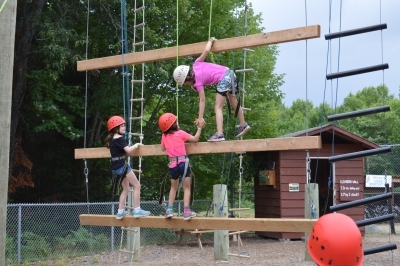 This program gets campers up and out of their comfort zone. 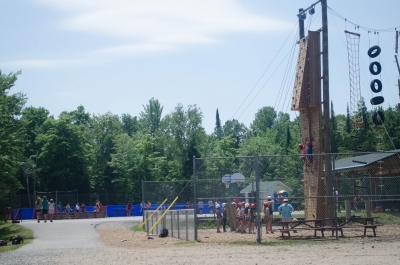 Our 40-foot climbing wall and challenge playground features three sides with unique elements to challenge each camper. The program also utilizes the low ropes course and indoor bouldering wall, focusing on specific technical skills. Are you UP to the challenge? The Climbing Wall is an outdoor and active program. 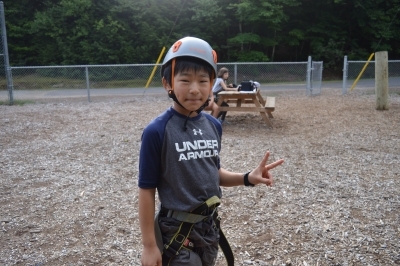 Campers are involved throughout each class in team building and personal growth activities. The 3 sided tower, includes a climbing face, individual obstacle course, and giant's ladder team challenge element. Each camper can find challenge in any element and success at their own individual level. 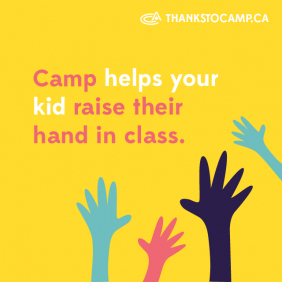 Many of these activities improve the camper’s self esteem, communication, and problem solving skills.